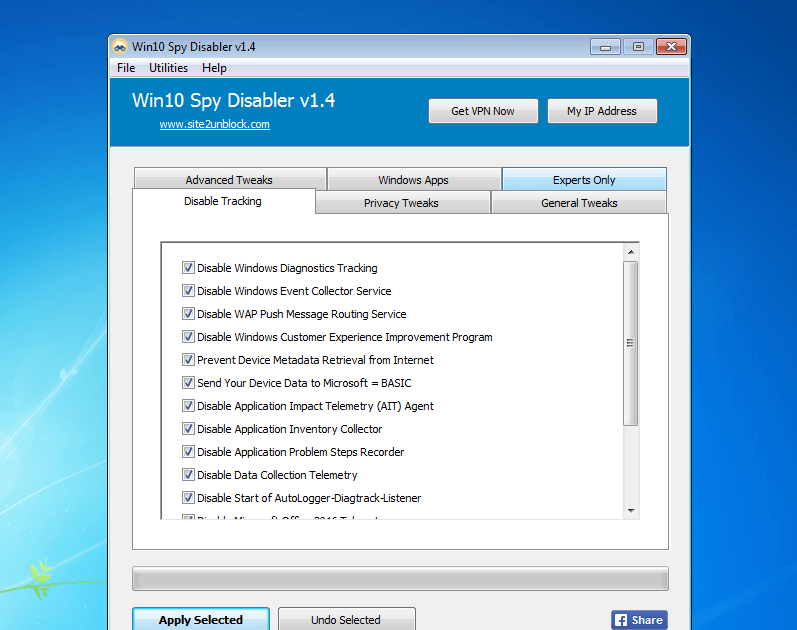 Win10 Spy Disabler is a very simple Windows OS software that helps you to disable Windows services and programs used to track your activity and to collect data about your usage, disable telemetry and data collection. It seems that Windows 10 may spy on nearly everything you do, according to Microsoft privacy statement. We developed this tool so you can easily disable all services, programs and system settings known to collect data and telemetry. When all changes have been applied, you should reboot the PC. This program should be used only on Windows 7, 8, 8.1, 10 (32\64-bit).